All projects under property of English in Levels s.r.o. You can find all our projets at www.englishinlevels.com. 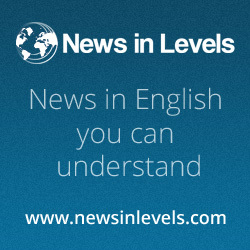 English in Levels is a global company. We started to help students of English in 2011. We prepare teaching materials for students of English every week. We want to show all students that it is easy to learn English. We write English texts in three levels of difficulty. Students can read materials at their level. We developed a special method for teaching English and we implemented this method into our projects. Students at all levels can now understand English. Our projects have more than 200 000 users per month. Our users are from more than 100 countries. We are happy that we can help many students. We hope we will help more students in the future. We wish all of you a lot of success with English.